Are you a salaried employee? Do you work in the Federal or State government and need quick emergency loans within hours? 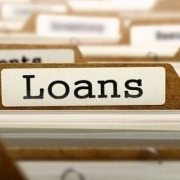 Do you need loans without collateral? We provide quick unsecured emergency loans without collaterals within hours to all federal and state government employees within Nigeria. 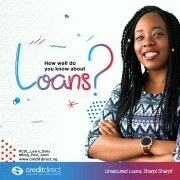 Sharp Sharp loan prides itself as the most convenient and cheapest loans in Nigeria with low interest rates, No pre-liquidation charges, exceptional customer services and quick turnaround time, we guarantee you peace of mind. With a customer base of over 250,000 satisfied returning customers, we are committed to meeting needs and fulfilling dreams. Our loans are cheap loans without hidden charges. Disbursement of cash is same day upon submission of complete documentation. No Pre-liquidation Charges on your settlement- Means you can settle at anytime without charges. Disbursement Methods – Direct Credit to bank Account OR via CDL Cash Card. Completed Loan Agreement Form and attached passport photo. Letter of Introduction & Employment/Confirmation letter. Guarantor Submissions, Proof of residence, Proof of earnings & Post Dated Cheques. Valid Identification – Driver’s ID, National ID or Internationl passport. Work ID (for salaried individuals only) & Bank Statements/Pay Slips. 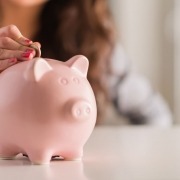 For the upwardly mobile and professional segment of the market- we seek to meet their ever growing needs by providing a bespoke product that avails them quick payday emergency loans online without collaterals and with ease of access. Low interest rates and pricing, convenient repayment period, and excellent customer service to ensure their needs are timely met. The needs of our customers are put as priority and treated as such. 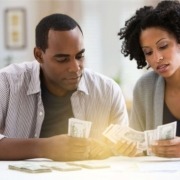 Emergency loans or personal loans up to N4.5 million or more. Insurance on all collateral free quick Loans. Employment Letter and Last Salary Review Letter. Valid means of ID ( National ID Card, Voters card, Driving license and International passport). Pension Statement(For current account holders). Postdated Cheques Covering Loan Tenor. Signed and updated Direct Debit Mandate. Need lifestyle or commercial assets? Need to start a business or to upgrade your home? Then yes you can get start of the art assets on our Asset Carry Go. Get assets or loan equivalent within hours and upgrade your lifestyle. We are here for you at your convenience. Call us today. Unique asset financing model for financing white goods, income generating assets (ice-makers, grinding machines etc.) and household equipment. Unique asset financing model for financing white goods, income generating assets (ice-makers, grinding machines etc.) and household equipment. Tenors available are 3, 6, 9 and 12 months. Asset Pickup within 24 hours of submission of completed documentation. This product is open to both private and public sector organizations. Purchase of these assets are at CDL accredited vendors with warranties and active after sales service. Staff ID card and any other Valid ID. 3 months consecutive payslip and bank statement. In preparation for building the next generation entrepreneurs in Nigeria, we have provided a platform for serving corps members to access unsecured collateral free emergency loans during their service year for varied purposes. To start up a small business while in service, to gain a professional certification, to buy commercial and lifestyle products and urgent cash needs. We have made it so easy and most convenient. Packages are suited to carter for the youth corps members in need of startup capital. These loans are Collateral Free that helps corpers grow a business mindset while they prepare for entrepreneurship. No guarantors needed for the loans. No extra Charges/ Fee (Management fees, processing fees and credit check fee). Seamless application online: reduced documentation, validation of customer is done in partnership wth NYSC. Repayment are equal throughout the facility life. Free life and Hospitalization insurance cover throughout the duration of the loan. Quick online loans processing ONLY. Photo of NYSC Identity card. Photo of attestation letter from SAED. Photo of Corps member’s face. Photo of Corps member wearing full NYSC regalia. Photo of valid ATM card of corps members NYSC account. Photo of completed letter of undertaking clearly signed and dated by corps member. Rethinking Your Approach To Customer Experience. Defining Leadership: What It Is; What It Is Not. Customers Are Not Interested In Your Company, Only Their Satisfaction. Why Interest Rates Remains At Double Digit In Nigeria. Before Engaging In a Price War…Is It Your Price? Joshua Aniete on Need A Collateral Free Loan For Vacation? Things You Need To Know. © 2019 Credit Direct limited (RC 657309). © 2019. Credit Direct Limited is authorized and regulated. Head Office Address: 48/50 Isaac John Street, GRA, Ikeja, Lagos, Nigeria.